The Salaga constituency secretary for the opposition National Democratic Congress (NDC), Lawal Awari, is alleging that the ruling government promised to make the area the capital of the newly created Savannah region. He told host of Frontline on Rainbow Radio 87.5Fm, Kwabena Agyapong that, the angry youth who set the NPP party office over the citing of Damango as the capital of the new region, did so based on a failed promise. The NDC officer indicated that the NPP should be blamed for failing to fulfil its promise to the people and traditional leaders in the area despite the assurances given them. He was worried the situation has reached this level and has asked the government to address the issue in a holistic manner. For him, the Salaga youth are not violent but there are some individuals in the party who are inciting the youth to be violent because the NPP is known to be supporters of violence. He however, condemned the violence and stressed there were better ways the youth could have used to address their issues. He called on the security to beef up their work to prevent such incidents in the future. He again called on the party NPP to calm their party supporters. 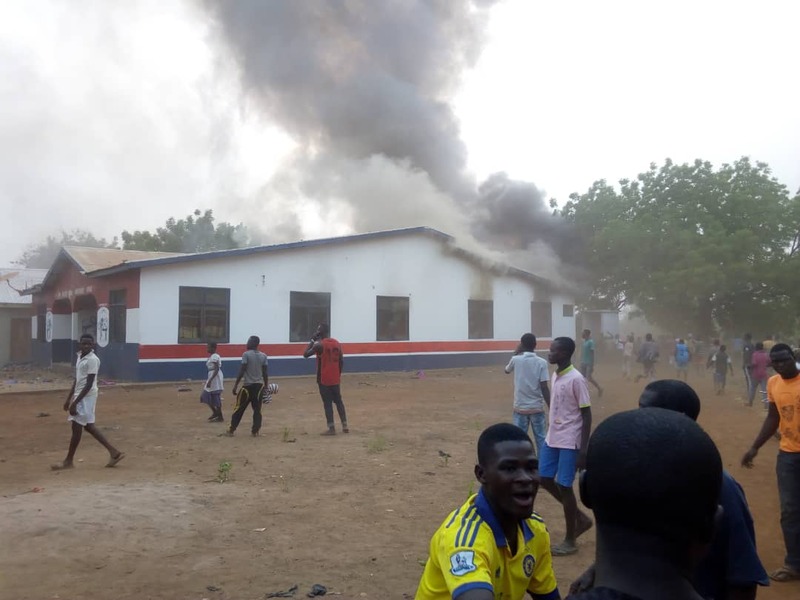 Violence erupted in Salaga South following the citing of Damango as the regional capital of the newly created Savanna region on Tuesday. They also destroyed the roofing, fridges, widows, satellite dish and computers st the party’s office..
President Akufo-Addo on Tuesday announced Damango as the capital for the newly created Savannah Region. Speaking at the ceremony ye said, “You will not be far from wrong if you described the Savannah Region as the least developed part of the Northern Region. The irony in all of this is that the Savannah Region is blessed with an abundance of natural resources,” the President bemoaned.